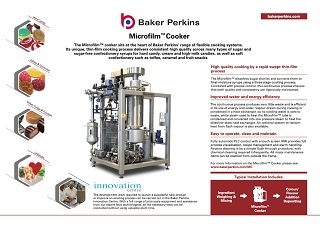 The Microfilm™ is used to cook a full range of sugar, low-sugar and sugar-free confectionery products. The cooking process is extremely rapid and delivers consistent high quality on every product. 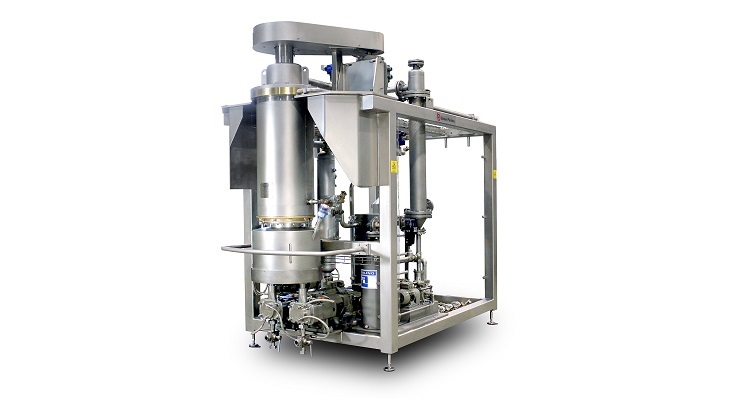 The unique swept thin-film Microfilm™ process provides precise and consistent cooking of a wide variety of confectionery syrups. The process is continuous; cooking in two stages dissolves sugar slurries and converts them to final-moisture. 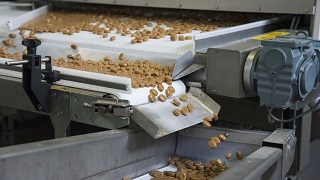 Continuous processing, precise control and the unique Microfilm™ cooking method combine to ensure that quality and consistency are rigorously maintained. Rapid evaporation means that cooking to final solids takes place with minimal process inversion of sugars or burning of dairy ingredients. The process is suitable for many types of sugar confectionery syrup, including low-sugar and sugar-free. Hard candies, cream candies and high milk candies are easily handled with excellent control of moisture and, where required, caramelization. 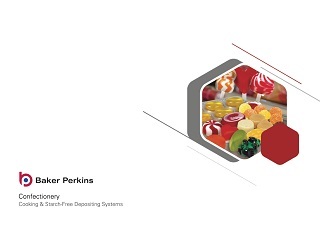 The capability includes soft confectionery such as toffee, caramel, gums, jellies and fruit pastes. The continuous process produces very little waste and is efficient in its use of energy and water. 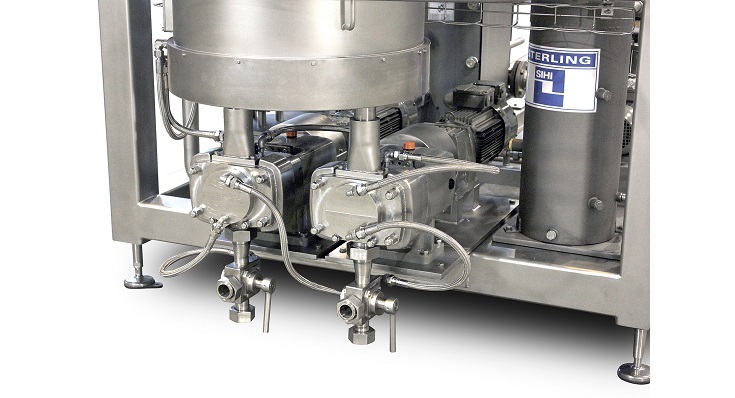 A pressure dissolving system fitted as standard reduces recipe water content from around 23% to around 15% - the higher pressure permits higher temperatures and increases saturation levels. With less water in the syrup less energy is needed to evaporate it during cooking, reducing energy and water consumption. Optional features are available to improve efficiency. These include an indirect condenser to minimize cooling water requirements, and systems to recover heat from flash steam. All these reduce energy consumption. There is fully automatic PLC control with a touch screen HMI. All manual controls have been consolidated into the HMI offering complete process visualization and automatic control. Some closed loop elements of the cooking system can revert to manual operation to meet specific customer requirements. Cleaning is by a simple flush-through procedure, at intervals that depend on the products being cooked. The Microfilm™ is enclosed within a one-piece stainless steel frame with access to all maintenance points from outside the machine; hygienic components and materials are used throughout. Four models offer outputs from 120 to 2,800 kg/hour.